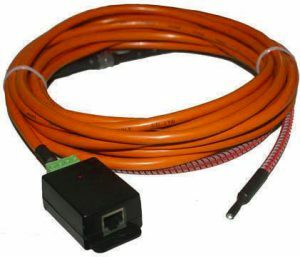 No Batteries: Ethernet sensors are powered by the base unit and never need to be turned-off. Complete environmental, temperature and security monitoring solution for your enterprise resources. Setup is very simple. Embedded Linux Operating System and accessible through it’s own web interface means there is no software to install on your PC. CloudHawk is a cloud service for remote and multi site environmental monitoring brought to you by Enviromon, a division of Netmon Inc. CloudHawk expands the already capable environmental monitoring solutions by Enviromon to allow you access to your sensor data in real time as well as recieve alerts via SMS text messages.